Introducing the stunningly beautiful and simply designed Fjords Ida Sofa! The Ida sofa is available in a 2-Seat option and a 3-Seat option. 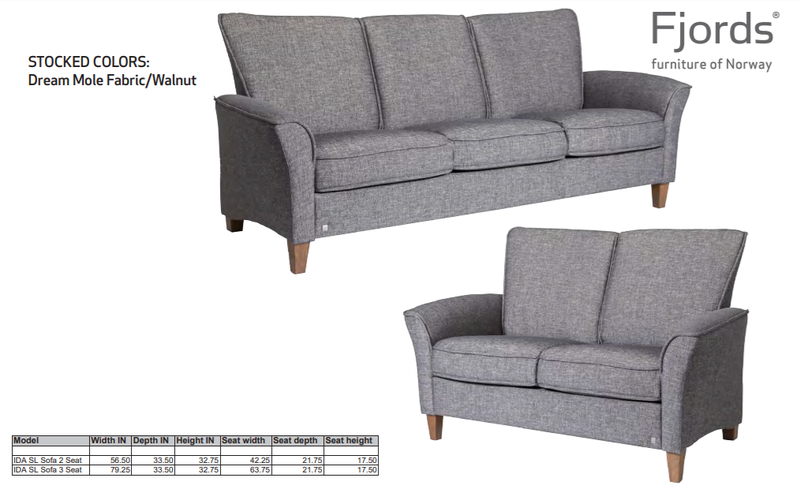 Have questions about the Fjords Ida Sofa, or need to speak with a Fjords Sales Specialist? Fjords Sales Specialist are available to answer any questions and offer further guidance in purchasing Fjords furniture. To reach a specialist by phone, call 888-486-9463. The fabric has a nice feel and overall its a very comfy sofa.